Leeds United head coach Thomas Christiansen, facing pressure to get his team back on track. The pressure is creeping up on head coach Thomas Christiansen ahead of Leeds United’s return to action this weekend, but owner Andrea Radrizzani has moved to calm down fans’ fears. Knee jerk reactions to downturns in results were commonplace in his predecessor’s time at Elland Road, but Radrizzani took to Twitter to air his view that the defeats in the last two games would only serve to make United work harder to get back to winning ways. While acknowledging there are issues to solve there is certainly no sign of panic from the owner, which will give Christiansen space to sort out what has suddenly gone wrong after the flying start to the season. Radrizzani’s public comment also went some way to calming down supporters who were taking to social media to show their disappointment following all the early optimism that had followed a spell on top of the Sky Bet Championship table. The poor defensive displays at Hillsborough and at Cardiff before that was in danger of sending fans into something of a meltdown, with many saying that early season results were due to playing some poor teams. 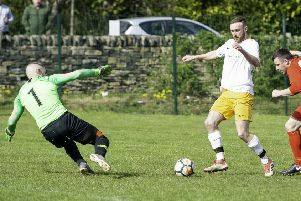 Several players were singled out for criticism and the head coach too after it was revealed that he had chosen to play midfielder Eunan O’Kane despite him having to have a painkilling injection before the match in order to play with cracked ribs. Republic of Ireland manager Martin O’Neill confirmed the news ahead of their World Cup qualifiers, but Leeds had not mentioned O’Kane’s troubles before or after the defeat to Wednesday. The player had his worst game of the season and with Ronaldo Vieira sitting on the bench, unused, and Mateusz Klich not even in the squad it puzzled supporters with many questioning Christiansen’s call. One explanation has since emerged with Vieira pulled out of the England under 20s squad due to a “minor knee injury” while Klich had been disappointing at Cardiff when O’Kane had been rested and is still struggling to pick up the pace of English football. Christiansen will be hoping he gets some good news on the injury front this week with the versatile Vurnon Anita also on the sidelines and key defender Pontus Jansson pulling out of the Sweden squad following a shoulder injury picked up in the last game. The coach will also be pleased to be back at home this Saturday after the recent problems on the road as he remains unbeaten so far at Elland Road. Reading are the visitors with another 30,000 plus crowd on the cards and a different test ahead for the Whites. This time they face a side who will try and pass the ball around and with United looking to do the same it will be interesting to see who gets the upper hand. Reading also come into the game under pressure as they find themselves down in 20th place with just nine points so far and they have suffered a blow in the build-up with news that their key defender, Jordan Obita, is out injured and looks likely to miss the rest of the season.